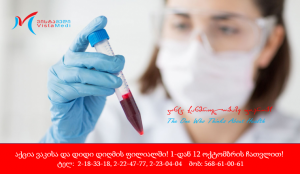 Special prices: Complete Blood Count – 8 Laris; Urine Analysis – 6 Laris. From October 1 through October 12! For all patients who visit our laboratories! Address of Vake branch: Shroshi Str. #14 (near Mrgvali Baghi – Round Garden). Address of Didi Digomi branch: Ramazi Str. # 28. Open 24/7. Tel. : 2 18 33 18; 2 22 47 77; 2 23 04 04. Mobile: 568 61 00 61. We will be working on holidays too! 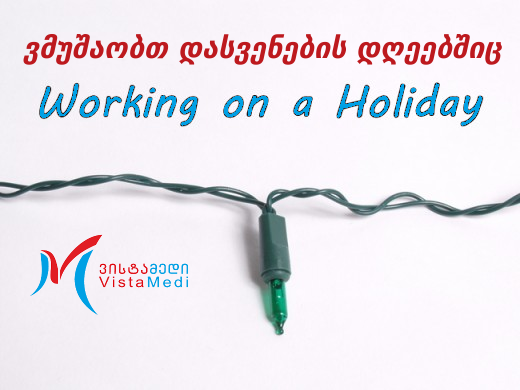 “Vistamedi” will be working as usual on New Year holidays. Our on call service will be also available 24 hours a day, 7 days a week. We provide the test results the same day! Tel. : 2 18 33 18; 2 22 47 77; 568 61 00 61. 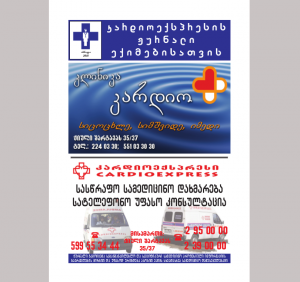 „ვისტამედი“ გილოცავთ შობა-ახალ წელს! 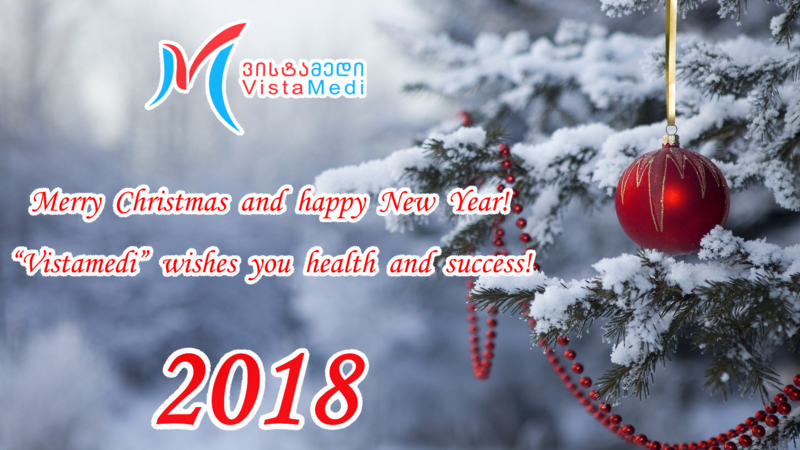 გისურვებთ ჯანმრთელობას და წარმატებებს! “Вистамеди” поздравляет с Рождеством и Новым годом! Желаем здоровья и успехов!